Like its first edition this August, Style Bazaara��s upcoming event is all about showcasing what Chennai wants. a�?When we select designers and brands, we reach out to them and ensure that their products are in line with the citya��s tastes,a�? says founder Sheetal Jain. She cites the example of Booblie Banerji from Kolkata, whose intricately designed silk saris, she believes, will find fans among the women here. a�?Chennaiites look for the quality of the fabric and the weaves when choosing saris. Thata��s where Booblie scores,a�? she says.A�Nearly 60 designers from across the country are participating this time, with 24 debutantesA�like VibrantA�from Jaipur, Vastra by Payal, and Delhi Textile,A�besides aA�few showcasing Pakistani suits. a�?The two-day event will be inaugurated by Osman Abdul Razak of Gabbana Life and Prabhu Lakshman Buddy,A�a leading showstopper in the fashion circuit,a�? says Jain. With anA�expectedA�footfallA�of around 7,000 per day, there are designers showcasing jewellery, accessories and home dA�cor, too. a�?You will see gold and diamondA�pieces by Karat Craft, along with Meera Jewellers, Rekha Rao and StudioA�2.A�Temptation from Kolkata is bringing down footwear,a�? she says. 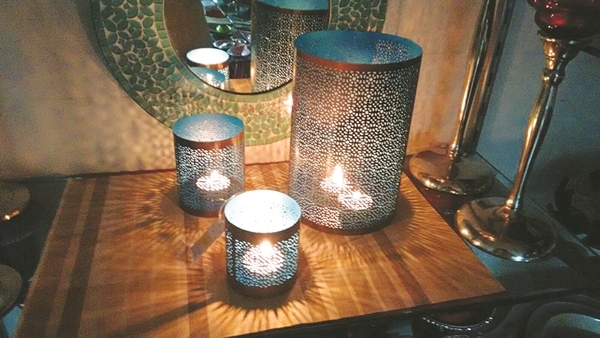 And with Diwali round the corner, do not miss gifting options from Delhi-based Kreative, who will display candle stands and decorative artefacts. Jain has plans to host Style Bazaar thrice a year, with the next edition to be held on January 7-8. a�?We are also launching an app this December, which will enable customers to purchase products from all the designers who participate in our event,a�? she concludes.